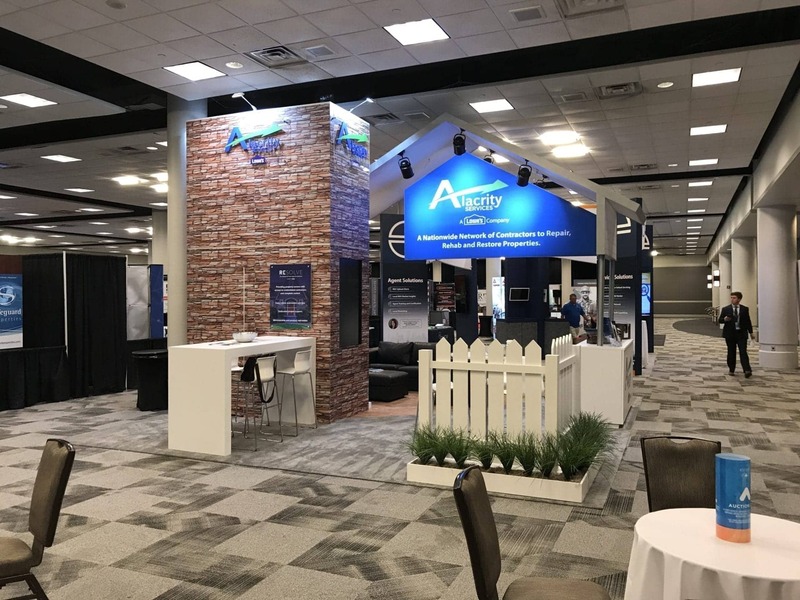 To help Alacrity Services improve their trade show performance, we helped them distill and amplify their key messages. 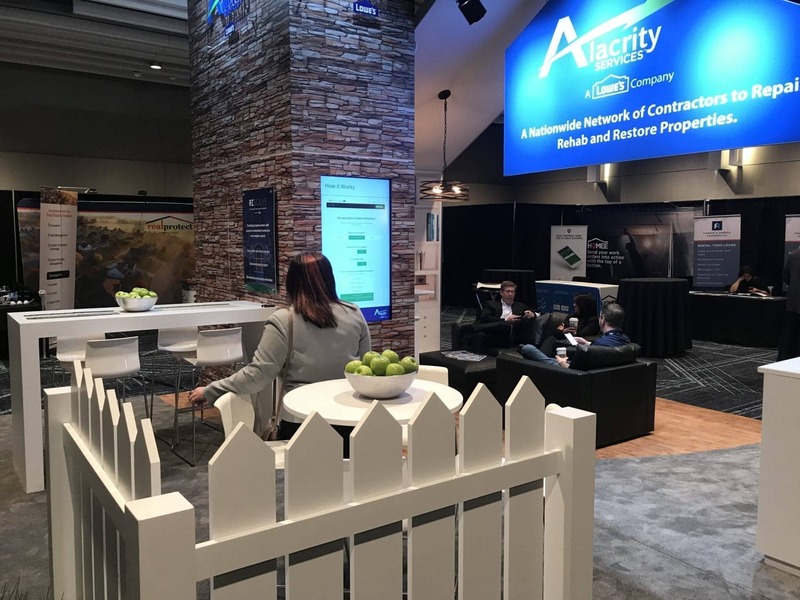 As a leader in property casualty claims solutions, we designed Alacrity Services’ structure to echo the shape and visual texture of a house. 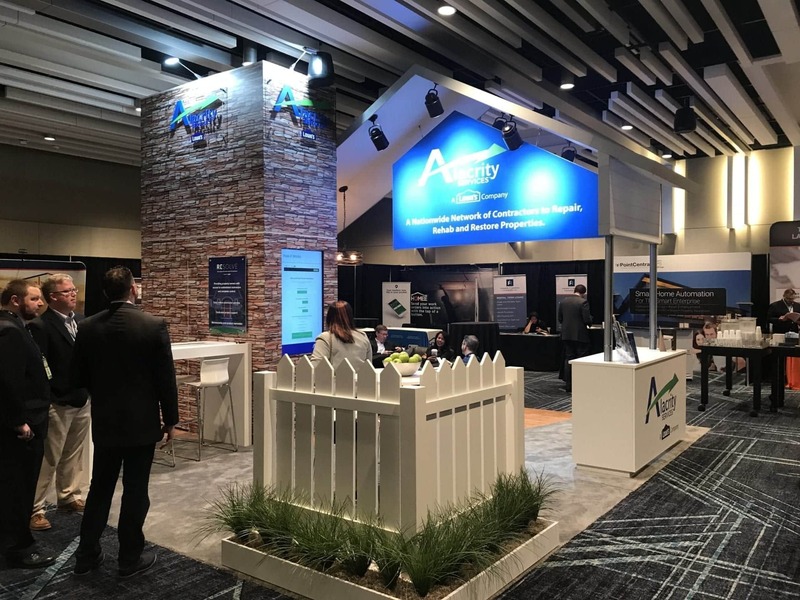 Now it’s immediately apparent to visitors what Alacrity does and stands for. 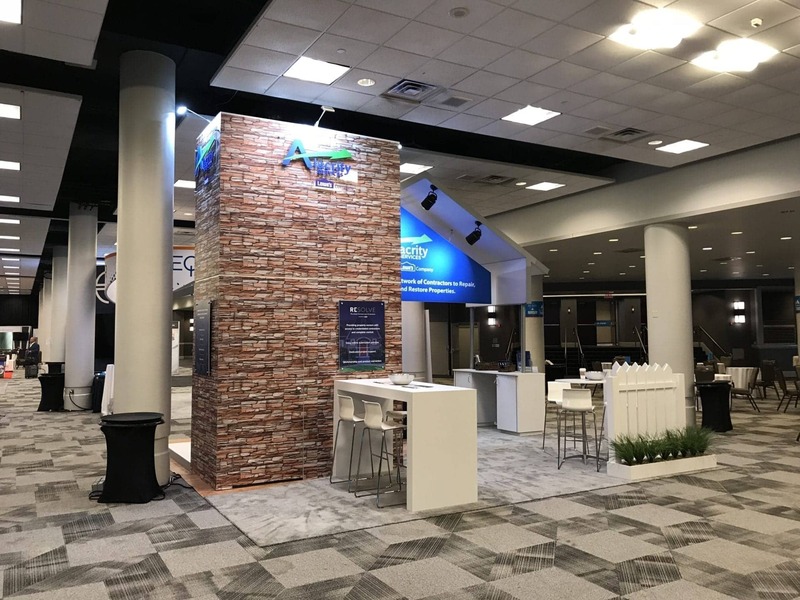 Holt Environments built a modular solution that would work both in a 20×20 space, as well as a 10×20. 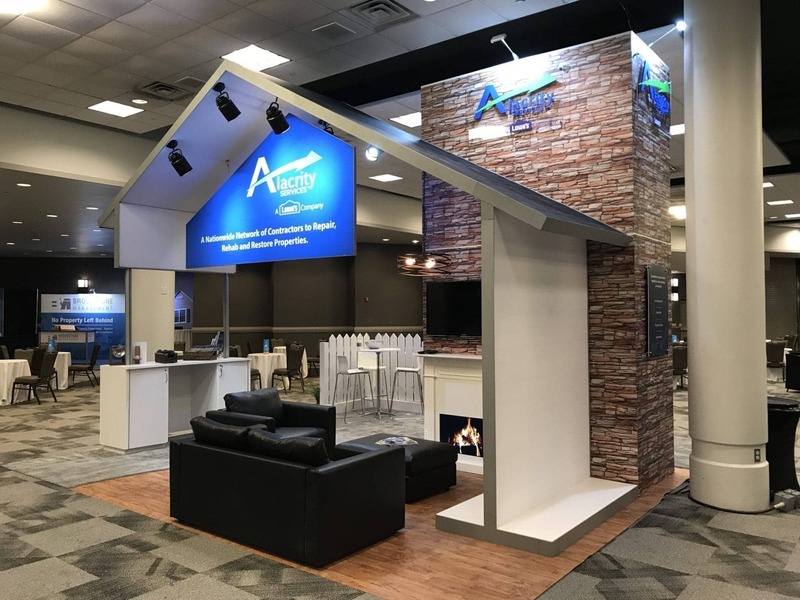 This included a casual meeting area, a digital fireplace with a TV playing videos of natural disasters with how Charlotte-based Alacrity could help. 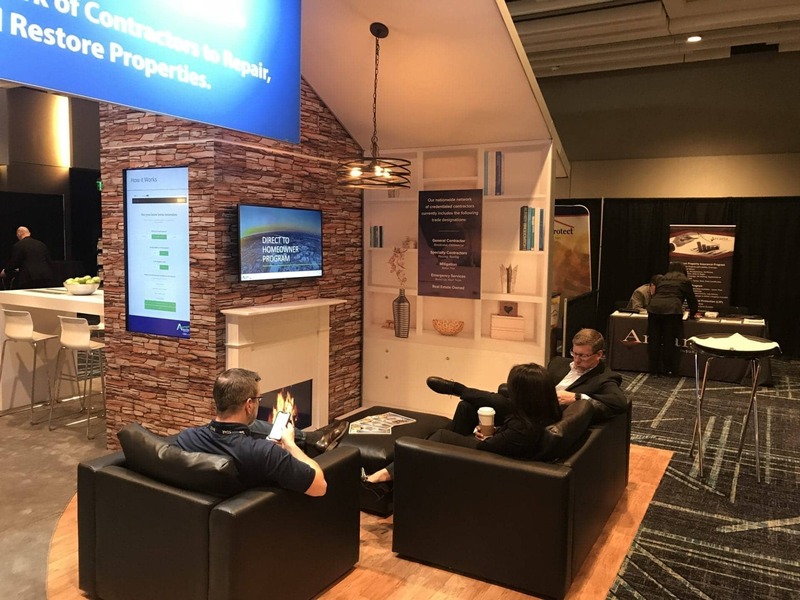 The brick tower also held a touch screen monitor that enabled attendees to interact with content tailored to their needs.